Opposition parties on Tuesday slammed Narendra Modi government's maiden rail Budget, variously describing it as ‘illogical’ and ‘disappointing’ after claiming it had overlooked large parts of the country. 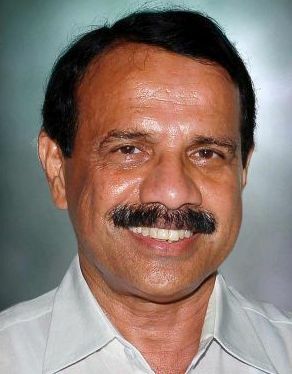 Biju Janata Dal termed the Budget, which was presented in Parliament by Rail Minister Sadananda Gowda, ‘quite shocking’ and ‘illogical’ as it complained that no emphasis had been made in it for the areas that generated more revenue from freight. "The Budget is illogical as far as Odisha is concerned. "The logic has to be explained. "The government says priority would be given to those areas which have been neglected. . . It gets Rs 14,000 crore (Rs 140 billion) from freight services from Odisha and large parts of the state do not have rail connectivity," said BJD member of Parliament Baijayant Panda. "The Budget is not in harmony with what the government had earlier said about neglected regions being given more focus," he added. Janata Dal (United) President Sharad Yadav, too, criticised the Budget, saying it had left out large parts of the country's geography. "There was no reference to Madhya Pradesh, Bihar, Assam, Odisha, Kerala, Telangana and Seemandhra. “These are the parts where a large chunk of the population resides. “Also, all pending projects should have been completed first," said Yadav. Asked about the announcement of big ticket projects like the bullet train between Ahmedabad and Mumbai, he added. "Projects are concentrated only around four-five cities. “The Budget should look at everyone from the same point of view." Bahujan Samaj Party chief Mayawati for her part said that her party had hoped the government would make an announcement bringing down fares in view of the inflation. "The government had initially said that the decision to increase the fare was of the (previous) United Progressive Alliance government. “So, the new government should have brought down the fares and freight rates considering the rising prices. "The Budget also speaks of privatisation and of bringing in private investment but, while doing so, there should be reservation for people belonging to the Schedule Caste and Scheduled Tribe communities," said the former Uttar Pradesh chief minister. Congress MP and former Maharashtra Chief Minister Ashok Chavan said that the Budget was ‘disappointing’. "There have been a few announcements for Mumbai, otherwise the Budget has been extremely disappointing. Marathwada, Vidharba and Konkan regions have got nothing. "The government had said 'good days will come', but Maharashtra has been completely forgotten," said Chavan.